After the disappointment of watching bland high school kids playing magical war games in Fate/Stay Night back in 2006, I was delight to see this series finally reached its full potential in Fate/Zero. This time, we got to see real magi in real battle. This review contains spoilers. 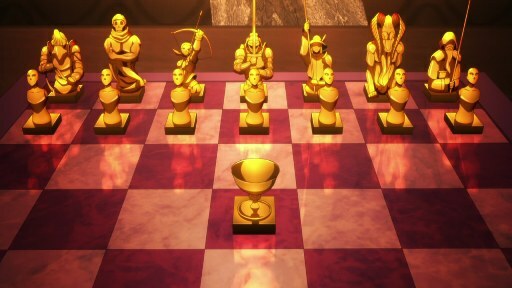 The fourth Holy Grail War had arrived and seven magi were chosen to participate. Each mage would command one heroic spirits (called ‘Servants’) in battle. The fight would be moderated by agents from the Church and the stage was Fuyuki city. The victor would be able to claim the Holy Grail, believed to be the ultimate wish-granting object. As you could see, the story was simple enough. So the real challenge was how the interaction between the seven Masters and Servants played out. The first thing to note about Fate/Zero was that it did not relied on traditional good vs. evil approach, which was highly prevalent among action fantasy stories. Despite the proclaimed ability to grant something good, the purpose of the Holy Grail War was not to achieve world peace or elimination of evil. This was similar to the real world. The battle between good and evil happened every day and everywhere, but not everyone was directly fighting for either good or evil. People simply fought so that their wishes would be granted. In addition, the variable definition of good and evil also proved to be extremely complicated. 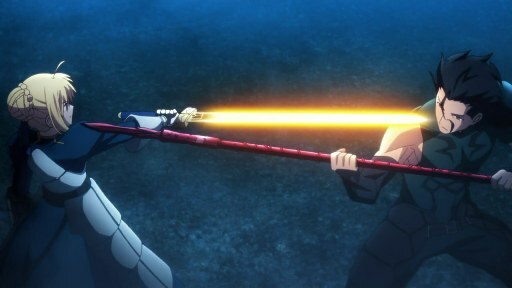 The war in Fate/Zero somewhat reflected the struggles in real world, leading to an intriguing clash between people from different backgrounds and goals. Like I had implied above, the best thing about Fate/Zero was the lack of annoying high school kids. Almost all the main characters in this series were adult. They knew what they were doing and they were more or less professionals. It was fun to watch these people bringing their best cards to the table. Given to the relatively long series, Fate/Zero managed to fill each character with enough details to make the audience cared about them. Thankfully, the anime knew that no matter how big the action sequences might be, they would not be interesting without good characters and context to back them up. Each character was portrayed with different mixture of strengths and weaknesses, good sides and bad sides, and unique set of skills. The Servants, despite being mere tools of war tied to the will of the Masters, were also acted as human being. They all carried some kind of sins, guilt, or unfulfilled dreams over from their past lives, which subsequently affected their relationship with the Masters. So instead of have seven well portrayed characters and seven kinds of weapons, the viewers were treated with fourteen characters. And the interaction between these characters literally kept Fate/Zero above most other action, fantasy anime. 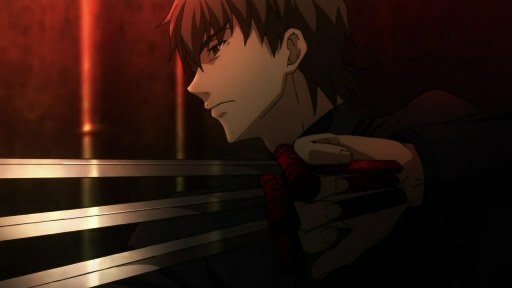 Among the best illustrated characters were the two lead, Emiya Kiritsugu and Saber. I like Kiritsugu but not for his tear-jerking, sad flashback scenes. Kiritsugu dreamed of a world without conflict, but he chose rather questionable (but understandable) means to achieving his dream. He was willing to kill in order to stop the killing. But could the end justify the mean? Saber, on the other hand, believed in walking in the righteous path even though the path might not lead to her goal. In the end, no matter which path they chose, the ones with the biggest dreams always suffered the most. I personally didn’t like the ‘battle without consequences’ usually found in long-running action anime series. This kind of battle was when combatants fought for a long time using many skills but then something came up and everyone just dispersed without any conclusive results. I personally preferred short, intense and decisive battle like those found in Kouga Nippo Chou, or Psycho-Pass. 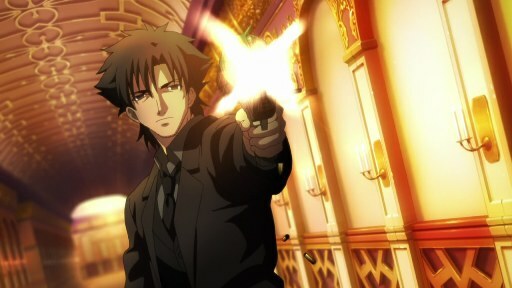 Action sequences in Fate/Zero were big and flashy enough and the close range combats were all well animated. But the battle between Servants often fell into the ‘battle without consequences’ trap, which bored me quite a lot in the beginning. On the contrary, I found the battles between the Masters far more exciting than the often straight-forward battle between servants. I love the tactics, the concomitant use of magic and modern weapons, and especially the mind games used by the Masters. Some even went so far as to make sure that the judge was on their side. Assistance from outsiders was also extensively utilized. Ultimately, it would seem like the fights between Servants were just a distraction from the real battles that were taking place in the shadows. Similar to the real world, the victors were often decided outside the arena. Hadn’t anyone thought that maybe the Holy Grail wasn’t the answer? There had been three Holy Grail wars already, and no one had been able to obtain (not to mention use) the Grail yet. It should be obvious that there was no single wish-granting object that could solve any problem, even when you wished for something noble like world peace. As expected, no one got what they wished for in the end of Fate/Zero. Of course, this did not mean that peace was not worth fighting for. 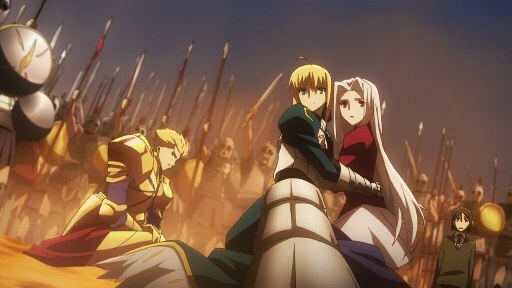 Speaking of the Holy Grail and the ending, I thought the anime should provide more information regarding the events in the third Holy Grail war. The infestation of the Grail by another dark entity and the black substance flowing from it were related to the previous war. I was initially confused by the ending until I did some additional reading about previous Grail wars. Conclusion, Fate/Zero might have been weighed down by some redundant sequences and confusing endings. But it was still a very competent action anime series, equipped with intriguing characters, thought-provoking premises, and excellent production. Ps. the annoying high school kids return in the latest Unlimited Blade Work series. I guess we’ll see how that one turnout. This entry was posted in Series and tagged Fate Stay Night, Fate Zero, Fate/Zero. Bookmark the permalink. Unlimited blade Works is the second route in the visual novel. A seperate story (but still interlinked) with the fate series. I thought this show was awesome! so what exactly happened to the Grail in the previous war? Basically, the Grail was corrupted. I could no longer recall the specifics but the details are available in most sites including wikipedia. Hmm… I also do not like too much high school! Sounds like this one turned out relatively well. This is something somewhat related, I promise! :P The song is kind of fun!